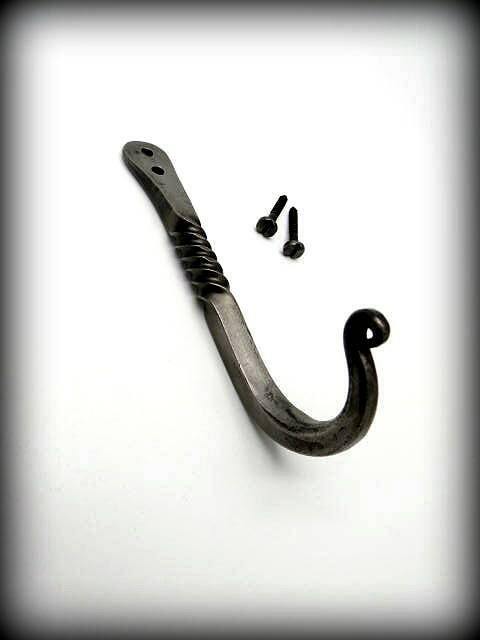 This hand forged hook is entirely hand forged hot on the anvil with the hammer. A decorative twist gives this strong hook it's traditional look. 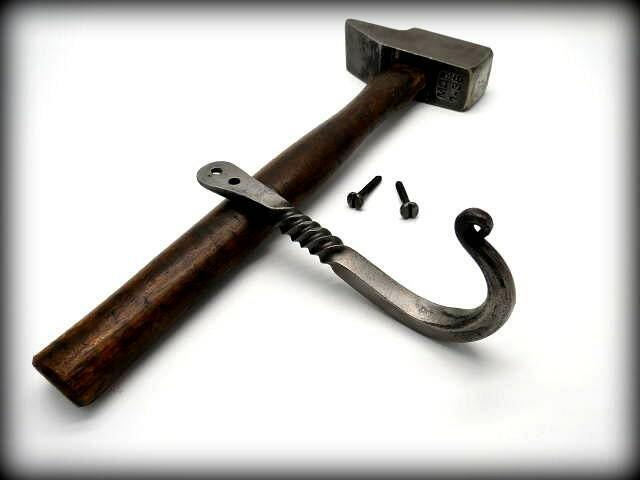 The hook is made with a small belly at the end so there is no sharp, pointy tip at the hook end. 1- Light Grey : The hook is wire wheeled to a uniform light grey. 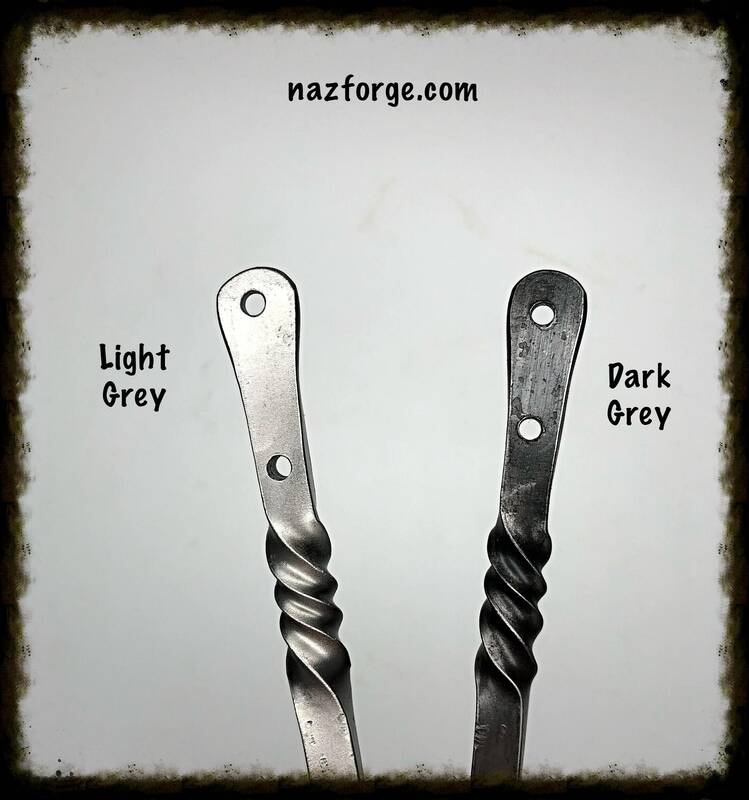 2- Dark Grey : After it has been hammered, bent into shape, and "in and out" of the fire numerous times, the hook comes out a dark black, I then use sandpaper to highlight the hammer marks but the deeper marks stay darker and gives a nice "2 tone" effect. 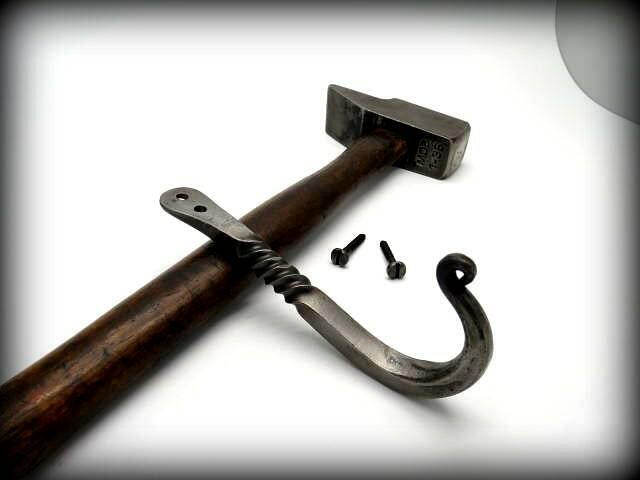 Very strong, this hook is made to last a few lifetimes. Comes with 2 decorative wood screws that match the ironwork. 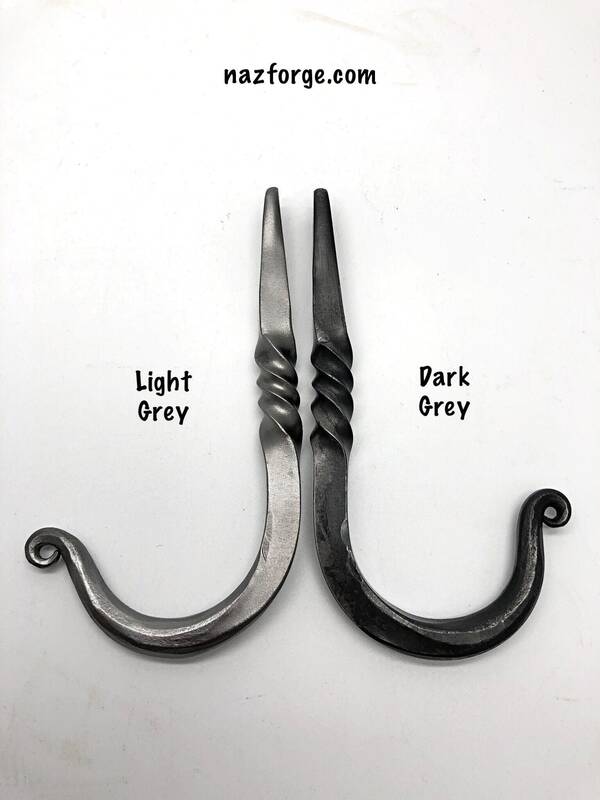 Note : The ones shown in the photos are ones I've made previously, if you purchase one or more of these hooks, they will be based and similar to the ones shown.